This year, Dr Prince has come to Galicia on a return exchange, and taught a three-day workshop on his Barefoot Ecologist Toolbox, in which participants could use a new tool for self-monitoring of stocks. Pablo Pita blogs about hosting the workshop below. In January, 2013 I travelled to Australia to learn first-hand a new fisheries management tool developed by Jeremy Prince and Adrian Hordyk. I came back with many stories in my luggage, two new friends, and with the firm intention that my travel would not stay as an anecdotal visit. Fortunately, the GAP2 management group immediately shared my enthusiasm for the work of Jeremy and Adrian. 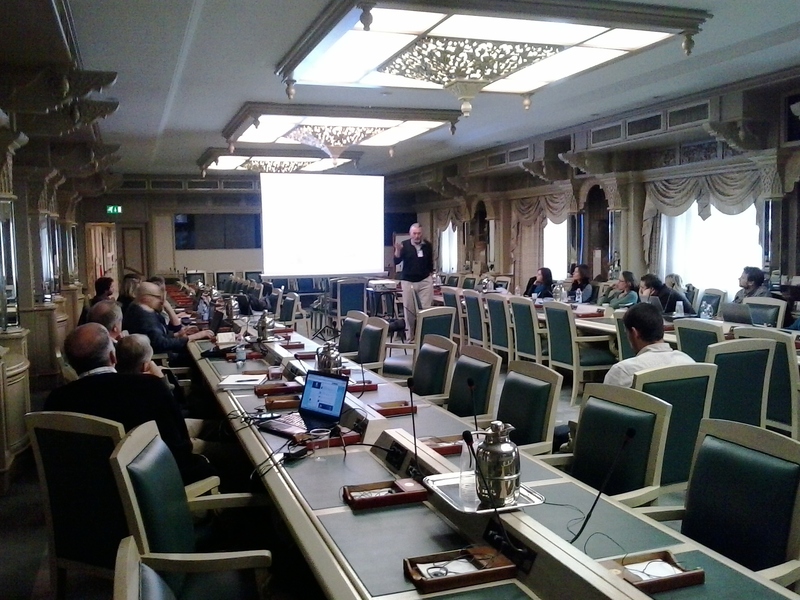 They proposed inviting Jeremy to organize a workshop on the use of their tool at the second international symposium on Fishery Dependent Information (FDI), which was held between 3 and 6 March, 2014, in Rome. Taking advantage of the long journey from Australia, I suggested Jeremy and Adrian that they could also travel to Galicia for a couple of weeks, and as part of their visit, we could organize an event: a ‘Technical conference of GAP2 project on new fisheries management tools: building bridges between government, fishermen and scientists’. Maybe Jeremy was thinking of the excellent Galician seafood and Albariño wine, but the important thing is that they accepted. 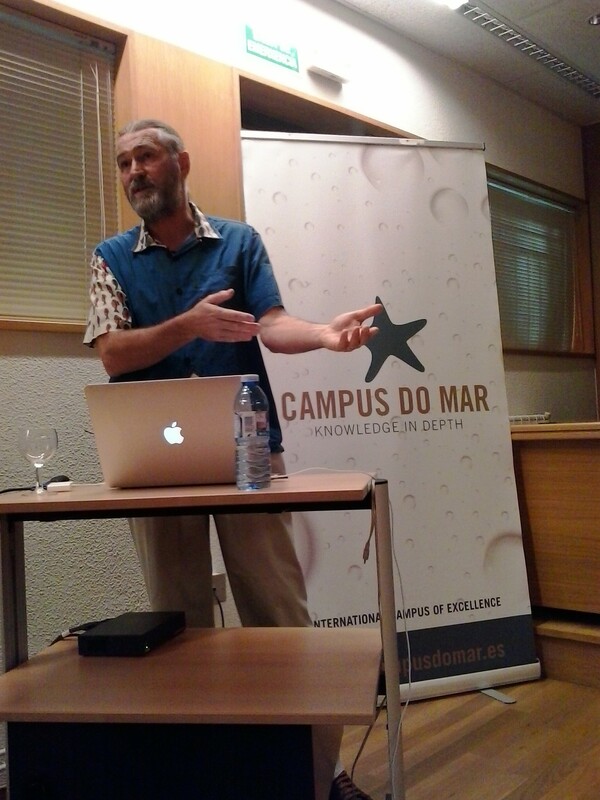 The Conference (11-13 March, 2014) was opened by Sergio López, Secretary of the Galician Federation of Fishermen Associations, by José Molares, Deputy Director for Research and Scientific- Technical Support of the Autonomous Government of Galicia, and myself, and consisted of an inaugural lecture given by Jeremy, sponsored by the Campus do Mar (available online at: http://tv.campusdomar.es/en/video/2879.html) and a 2-day-workshop on the use of their fisheries management tool. It has been two weeks of intense work, flavoured with some unique and essential visits, like a trip we took to the roof of the Cathedral of Santiago de Compostela, or the Sanctuary of San Andrés de Teixido (just in case, because in Galicia we say that if you don’t visit San Andrés alive, you will go when dead). But I think the effort has been worthwhile. The inaugural conference was attended by about 30 people in the Auditorium of the Faculty of Science, University of A Coruña, and online by another 80 people scattered across many countries of the globe. The workshop, which reached its full capacity, was attended by several Technical Assistants (our barefoot ecologists), biologists of the regional fisheries government and scientists from several countries. In short, the quintessence of GAP2 project. Marta Minhambres. Technical Assistance of the Fishers Association of Baiona. Eduardo Pérez. Technical Assistance of the Fishers Association of Moaña. Paz Sampedro. Senior Researcher in the Spanish Institute of Oceanography (IEO). Liliana Mª Solis. Technical Assistance of the Fishers Association of Noia. Gonzalo Macho. Researcher in the Universities of Vigo and South Carolina (USA). This entry was posted in Case Study 2 - Galicia Habitat Mapping, Events, Exchange blog, Gap2 Voices, Homepage News, News, News, Pablo blog and tagged barefoot ecology, exchange, Galicia, GAP2, octopus, TURF. Bookmark the permalink.